All-in-one modular design system. 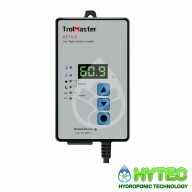 It controls lights, temp, humid, CO2 and timer devices. 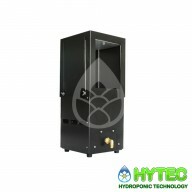 DSC-1U Specially designed for the control of CO2 devices in the Hydro-X Control System. CO2control relay, single pack with cable set. LED Power Indicator 3-Prong Attaching Plug RJ12 Cable Socket Addressing Plug & Play Input Voltage: .. 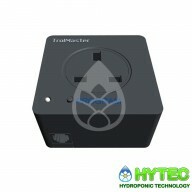 SMOKE DETECTOR FOR HYDRO-X (MBS-SD) Smoke Detector with cable set is specially designed for Hydro-X Control System. 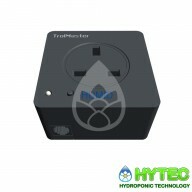 Features: Small Button for Address Assignment Built-In Photocell Detecting Day/Night Mode Plug & Play Contents: 1 x Smoke Detector (MBS-SD) 1 x 16ft RJ12 Cabl..
Beta-4 DAY / NIGHT TEMPERATURE CONTROLLER BETA-4 is a simple and practical temperature controller to control heating or cooling equipment. It utilises a highly visible and intuitive LED screen to let you know current temperature level or the max/min temperature recorded values. LED Displ..
DSP-1U Specially designed for the control of other devices using the Hydro-X Control System. Programmable control relay, single pack with cable set. 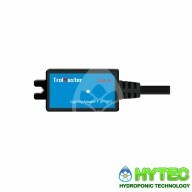 LED Power Indicator 3-Prong Attaching Plug RJ12 Cable Socket Addressing Plug & Play Input Voltage: ..
DST-1U Specially designed for the control of 240V temperature devices in the Hydro-X Control System. 240V temperature control relay, single pack with cable set. LED Power Indicator 3-Prong Attaching Plug RJ12 Cable Socket Addressing Plug & Play Input Voltage: ..
Beta-2 DAY / NIGHT FAN CONTROLLER BETA-2 is a simple and practical fan speed controller which offers an efficient and affordable solution to control your fan. 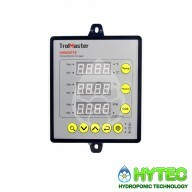 LED Display, Easy Operation Fan Speed Control Range 25-100% Built-In Photocell Detecting Day/Night Status Increase or Decrease..
THERMOSTAT STATION FOR HYDRO-X (TS-1) The Trolmaster TS-1 Thermostat Station is specifically designed to replace the traditional thermostatto control CommercialAC units. 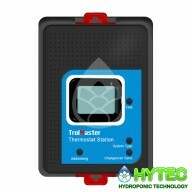 It will control your AC system by Day/Night setpoint base on the photocell status. 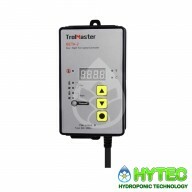 Connect the TS-1 to where your thermos..
TROLMASTER WATER DETECTOR (WD-2) Specially designed for the water detection in the Hydro-X Control System. It will provide leaking alarm to prevent water damage. 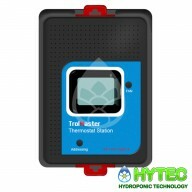 Up to 8 water detectors could be added to Hydro-X System. 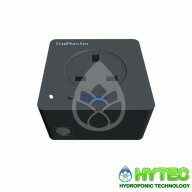 Contents: 1 x Water Detector 1 x Touch Spot 1 x RJ12 T-splitter ..
Beta-6 DAY / NIGHT HUMIDITY CONTROLLER Beta-6 Digital Day/Night Humidity Controller offers indoor gardeners an economical and simple method of monitoring and controlling humidity level within the grow area. 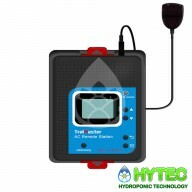 Beta-6 will turn on / off humidity equipment based on user-programmed day & night s..
TROLMASTER AC REMOTE STATION FOR HYDRO-X (ARS-1) ARS-1 offers universal remote control for any IR (infrared) remote controlled AC such as a mini-split AC system. 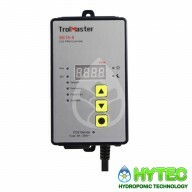 Connecting to the Hydro-X Control System, the user can use the ARS-1 Remote Station to learn and control any remote-controlled air cond..
TROLMASTER THERMOSTAT STATION (TS-2) TS-2 Thermostat Station is specifically designed to replace the traditional thermostat to control four system types of equipments (Heat/Cool, Cool only, Heat only, Heat pump). 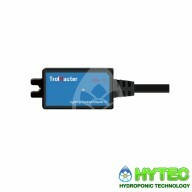 It will control your four system equipments by Day/Night setpoint base on the photoc..
TROLMASTER CO2 SENSOR FOR HYDRO-X CO2 Sensor with cable set is specially designed for Hydro-X Control System. 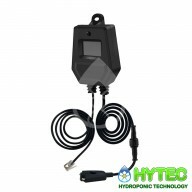 Features: Built-In Photocell Detecting Day/Night Mode Plug & Play Contents: 1 x CO2 Sensor (MBS-S8) 1 x 16ft RJ12 Cable 1 x RJ12 T-Splitter Specifications: Outp..
Hawkeye Hawkeye is a new generation of climate monitor and data-logger. As well as live monitoring of temperature, humidity & CO2 data it can record and store the information on a micro SD card for later analysis. 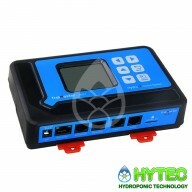 Alternatively it can be connected to the internet to view live and historica..
Beta-8 DAY / NIGHT CO2 CONTROLLER BETA-8 Digital CO2 PPM Controller offers a practical and affordable way to control your CO2 injection devices (CO2 regulator & generator). 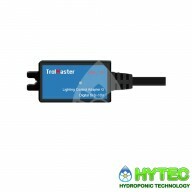 LED Display, Easy Operation Built-In Photocell Detecting Day/Night Status Alternative Humidifying or Dehumidif..
CG-2 CO2 Generator 2-BURNER Trolmaster Co2 devices are reliable, easy to use and great value. 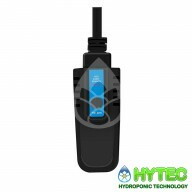 They have a range of Co2 generators to suit all needs which can be controlled using the plug and play Beta-8 controller or Hydro-X. Solid-State Ignition Dual-Redundant Solenoid Valves Tip-Over ..
CG-4 CO2 Generator 4-BURNER Trolmaster Co2 devices are reliable, easy to use and great value. 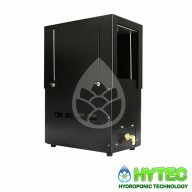 They have a range of Co2 generators to suit all needs which can be controlled using the plug and play Beta-8 controller or Hydro-X. Solid-State Ignition Dual-Redundant Solenoid Valves T..
HYDRO-X ENVIRONMENT CONTROL SYSTEM All-in-one modular design system. 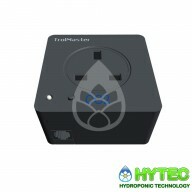 It controls lights, temp, humid, CO2 and timer devices. Compatible with all mainstream lighting systems. Easy installation. No need to rewire electricity system. Flexible self-customization. 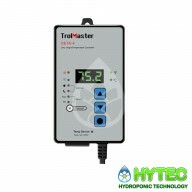 Everyone could customi..
CG-8 CO2 Burner 8-BURNER Trolmaster Co2 devices are reliable, easy to use and great value. 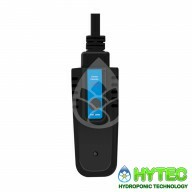 They have a range of Co2 generators to suit all needs which can be controlled using the plug and play Beta-8 controller or Hydro-X. Solid-State Ignition Dual-Redundant Solenoid Valves Tip-..